Hawaii is a Pacific Ocean archipelago of unsurpassed natural beauty, rich history and unique customs. Many of the ancient traditions of native Hawaiian people have survived to this day. Secluded beaches, hidden valleys, cool sea breezes and friendly locals welcome international visitors year-round. The range of fitness and wellness activities available in Hawaii is also wide. Scuba divers and snorkeling enthusiasts will be greeted by a colorful marine world of rich biodiversity. There are active volcanic islands and relatively well-preserved rainforests to explore. 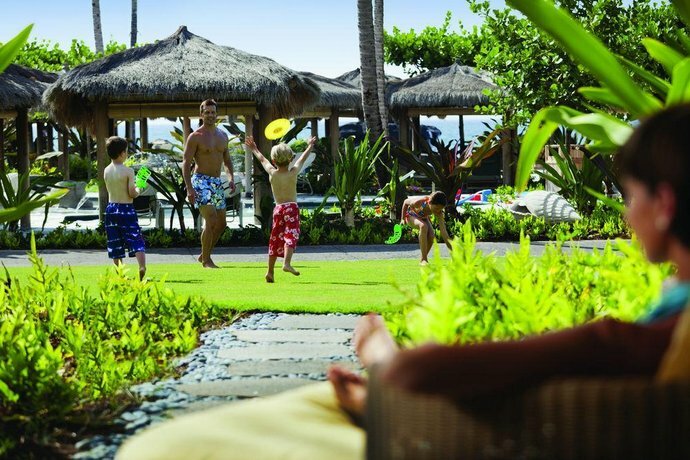 Hawaiian resorts are also happy to welcome children of all ages, and offer many fun activities to keep them busy while the adults go and do their own thing. Located on the smallest of the publicly accessible islands in the long Hawaiian island chain, the Four Seasons Resort Lana'i seeks to be an exotic getaway in a picture perfect setting. Placed upon a bay, the resort gives direct access to waters that offer exceptional snorkeling and swimming experiences. A marine sanctuary next door draws dolphins and whales in numbers. Accommodations consist of more than 200 rooms and suites. Most of these come with great views of the resort’s gardens, the nearby flowering hillsides, or the Pacific Ocean. Suites are large, comfortable and private, and often double as meeting venues. Connecting rooms are available for families. 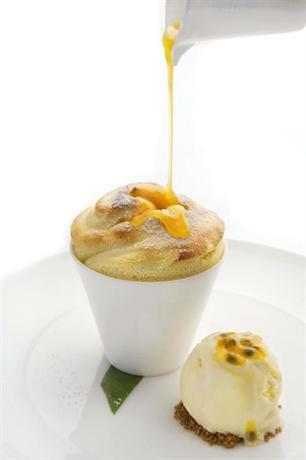 The choice of cuisine at the resort’s award winning dining venues includes Hawaiian, Japanese and American. An on-site spa can offer personalized treatments using locally inspired techniques and ingredients. Many of the spa products are derived from the ocean. There are several relaxing activities available, including strolling in gardens with serene koi ponds, exploring the botanical gardens or the Pacific coastline, and sailing on the bay. There is also the opportunity to play golf at an 18-hole championship course. For the more adventurous there are options such as off-road fun in four-wheel drive vehicles and horseback riding. This opulent property is part of the St. Regis Hotels & Resorts chain, which is a prominent luxury brand of Starwood Hotels Worldwide. 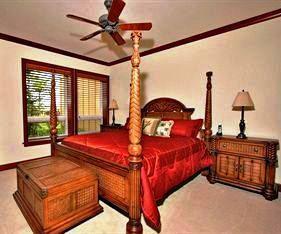 It enjoys a prime location in the middle of a 3,642 hectare resort community of Princeville at Hanalei. St Regis Princeville aims to be the most fashionable retreat on the garden island of Hawaii. The rooms have been furnished with pleasing, colorful accents, and the décor matches the verdant surroundings. Most of the suites have spacious living and dining areas, and king beds in the master bedrooms. The resort also offers a "bath suite", which has a large glass window that can be electronically controlled to choose between views or privacy. There are five restaurants and bars on the property, which can offer everything from a casual poolside drink to an elaborate fine dining experience with expertly paired wine. Exclusive private dining for two can be arranged on request. The resort’s spa offers a variety of treatments. It also has a 24-hour fitness room with cardio equipment and free weights. There is an on-site nail and hair salon. The Regis’ 72 par Makai Golf Club wraps around lakes and woodlands to offer a challenging, yet relaxing day of prime golfing. 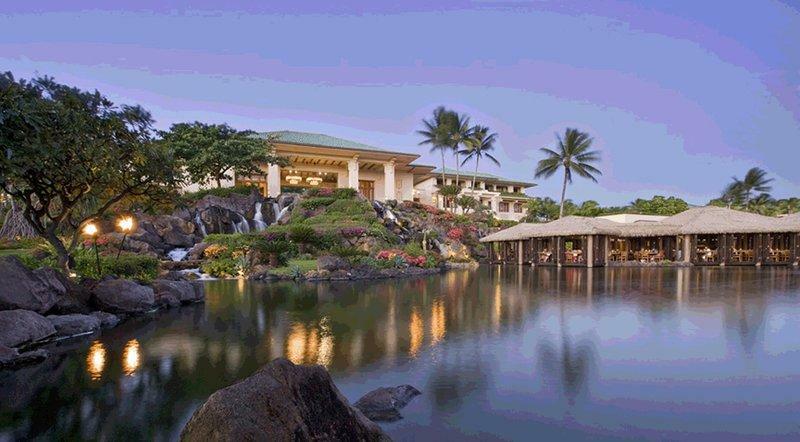 The Four Seasons Hualalai is located on the big island of Hawaii. This property has 243 rooms on offer, which are housed in two-storey bungalows. The resort features a large collection of native art which forms part of the décor in rooms, public areas and outdoor spaces. One of the resort’s pools is a huge aquarium carved out of lava rock, and has more than 98 species of fish living in it. The rooms have furnished outdoor balconies and full granite bathrooms. Suites are still more spacious and are augmented by additional features such as canopied beds and plush furniture. 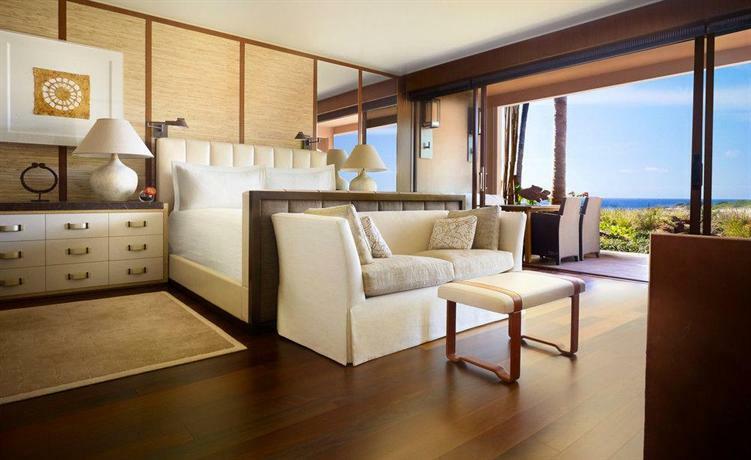 The suites at Four Seasons Hualalai are facilitated by a personalized concierge service. Each suite comes with the exclusive use of two lounge chairs on the beach to ensure complete relaxation regardless of the number of beach patrons. Family suites and connecting rooms are also available. Kona happens to be the permanent home of the Ironman triathlon. Residents at this resort can choose to take-up a training routine consisting of swimming, biking and running. The routine has been designed by a former Ironman champion. Other activity options are photography workshops, exploring volcanoes in helicopters, exploring secluded beaches and hidden valleys, and an exceptionally wide range of fitness activities. There is also a daily children’s camp with fun activities. Waikola is a city on the big island of Hawaii, and Kolea at Waikoloa Beach is a collection of luxury beach villas and homes available for vacation rentals. The property offers a wide selection of fully furnished and well-stocked accommodation units facilitated by an in-house concierge. 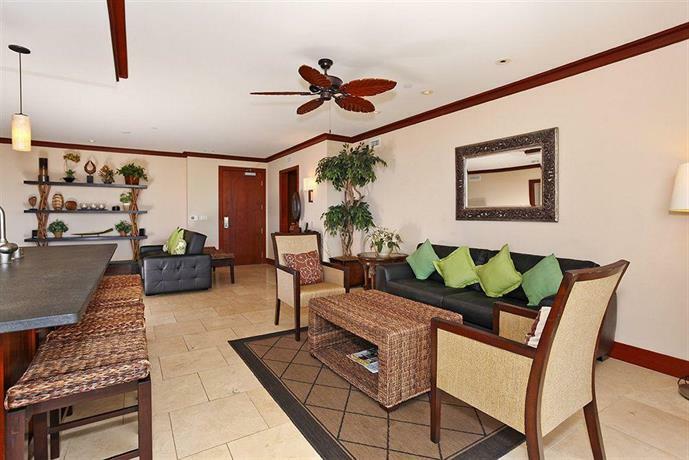 A range of facilities at the nearby Hilton Waikoloa Village is fully accessible to Kolea residents. These include pools, recreation options, dining venues, two championship golf courses and more. There is also a shallow sand-bottom pool with a cascade for children. Accommodations consist of two to six bedroom villas with full or partial ocean or garden views. Most of the two-bedroom, two-bathroom villas have been designed to provide a comfortable extended vacation stay for couples or families. Several villas are placed close to the beach, with direct sea breezes flowing through. Three-bedroom villas have spacious floor plans with generous balconies in a garden setting. There are also independent three-bedroom villas with as many as three floors. The upper floors offer the best views. Larger units with 4, 5 and 6 bedrooms are essentially independent vacation homes, each with a private pool. The expansive property has a fitness hall, lounging areas, natural pools and a beach club. The presence of other luxury resorts in close proximity multiplies the dining options. The Ritz-Carlton Kapalua is a 5-star oceanfront luxury resort that occupies nearly 22 hectares of expertly maintained estate. It is located on the second largest island in the Hawaiian archipelago. There are 463 rooms including suites and club level accommodations. Room features include marble bathrooms, dark wood floors and a Hawaiian inspired décor. The rooms are equipped with modern furnishings and offer great ocean views. The property has six dining venues, most of which overlook the sea. The gastronomic emphasis is on organic and locally sourced ingredients. Fresh seafood and pacific cuisine characterize the dining preferences. A lounge serves light snacks, appetizers and cocktails with live evening entertainment. A casual beachside outlet offers burgers and shakes. The resort’s spa has also been inspired by Hawaiian traditions, using ancient techniques and organic herbs to offer many treatments for the body and face. There is a well-equipped fitness center and the resort offers daily fitness sessions. Activities available on premises and nearby consist of tennis, basketball, swimming, surfing, body boarding, paddle boarding, kayaking, canoeing, snorkeling, hiking through forests and more. There are two golf courses nearby. The resort provides shuttle transport to nearby beaches, restaurants and shopping venues. The Ritz-Carlton Kapalua also boasts 16,000 sqm of scenic outdoor meeting space, which they claim is the only permanent outdoor facility of the kind on the island. Mauna Kea is situated on Hawaii’s big island, next to the white sand beach at Kauna’oa Bay. A popular holiday resort since 1965, this property occupies a prime location with exceptional views. Rooms provide the spaciousness of a bygone era while offering all of the amenities expectable of a modern 5-star resort, thanks to extensive renovations over the years. The property has a full-fledged spa, a beauty salon and a fitness center. 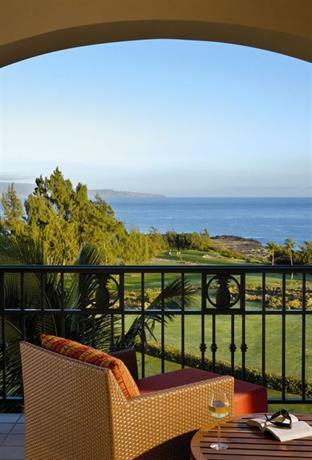 Mauna Kea Golf Course is readily accessible to Marriott residents. There is a wide selection of dining options with continental and American cuisines, as well as seafood. 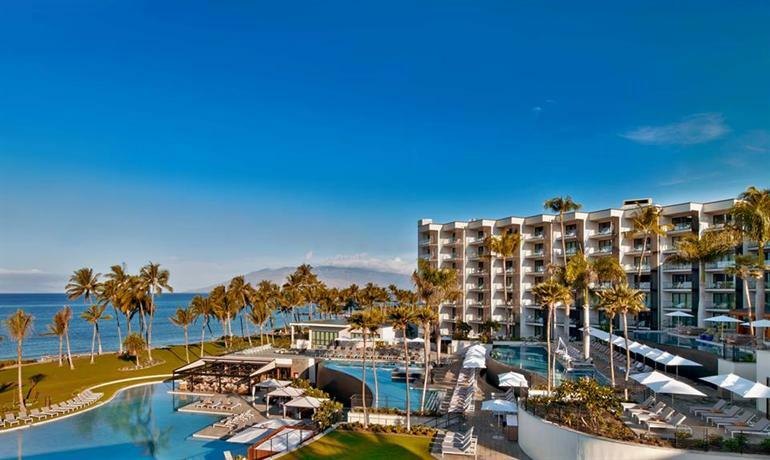 The Four Seasons’ Wailea property is one of their several luxury resorts in Hawaii, which welcome visitors to yet another prime location in the islands. Fully renovated accommodations reopened at the end of fall 2016 include several categories of suites, club floor rooms and standard rooms. The resort’s concierge team helps create personalized vacation itineraries filled with activities or leisure. This resort also happens to be the only establishment on the island that doesn’t charge a resort fee. Enticing dining venues offer a range of cuisines including Italian, steakhouse, seafood and authentic Hawaiian. 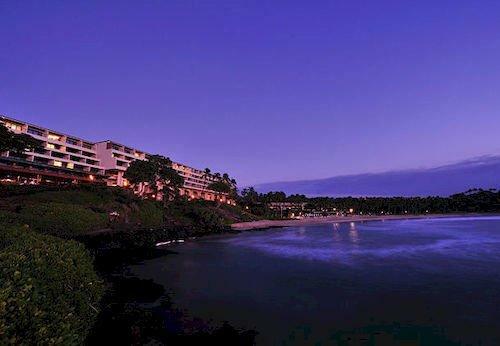 This charming resort is placed on the edge of a crescent shaped portion of the Maui coastline. 290 rooms, suites and villas reward occupants with pleasant views and proximity to many of the island’s favorite activities. The spacious suites at Andaz Maui feature balconies, large living areas and kitchenettes. The villas come with their own little private pools and full gourmet kitchens. The property also houses four restaurants that offer local and international delicacies. 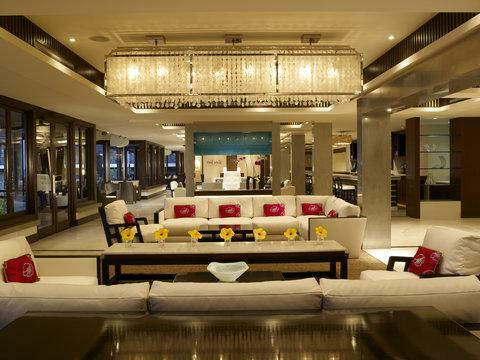 This luxury resort can host conferences and meetings. Attendees can enjoy a backdrop of white sand beaches and palm trees while networking over cocktails or making presentations in a hi-tech conference room with floor to ceiling windows. This is a 70 year old property with a rich history and many traditions including their unique house recipes. The original owner instantly recognized the value of this prime location when he first arrived. What started as a two-storey private residence in 1883 eventually evolved into a modern luxury resort with 453 rooms. Fully renovated with all the modern conveniences of the day, many of the rooms overlook the serene Pacific Ocean. Halekulani’s several dining venues offer something to please every palate at nearly all hours of the day or night. Some of these venues also provide nightly live entertainment. Grand Hyatt Kauai is placed along the white sands of Poipu, and enjoys a scenic setting between forest covered hills and the Pacific Ocean. 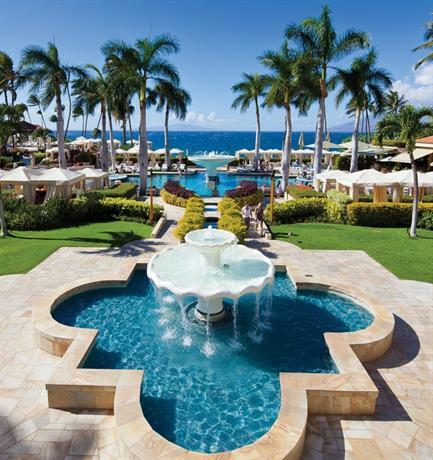 Manicured gardens, courtyards and pools create a pleasing Hawaiian ambience in this sprawling resort estate. Five categories of rooms and suites are available with a variety of perks including private balconies, king beds and direct ocean views. Club floor rooms get privileged access to an exclusive lounge with an ensemble of food and beverage offerings. Residents can enjoy relaxing days at the resort’s spa followed by live evening entertainment at the dining venues. The resort also offers several daytime land and water activities. 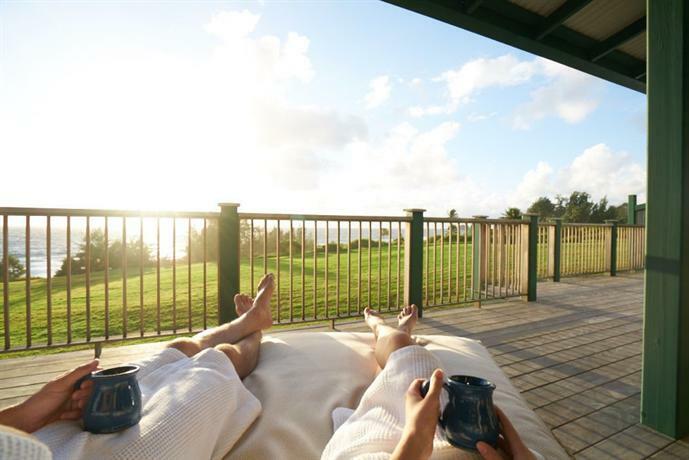 The Koa Kea is a boutique oceanfront property which has won its fare share of accolades and hospitality awards. Enjoying a prime location on Kauai’s Poipu Beach, this luxurious resort boasts a saltwater swimming pool and a beachfront spa. Inspired by the garden isle of Hawaii, the resort’s 121 rooms and suites have been furnished in colorful themes to match the flora outdoors. The nearly perennial sunny weather of the location makes it suitable for a variety of outdoor activities including snorkeling, kayaking, surfing, and other water sports available on site at the resort’s beach activity center. Koa Kea aspires to be the ideal spring break destination for all ages. Formerly known as Hotel Hana Maui, the Travaasa is among Hawaii’s better known boutique resorts. Placed above the picturesque Hana Bay, the property offers traditional Hawaiian leisure activities in addition to the usual sports and games. These include making a Hawaiian flower lei, playing the ukulele, and throwing a fishing net. Yoga, exploring local gardens, getting healing treatments at the spa and taking guided tours of the surroundings are also on the activities menu. The accommodations at Travaasa are free of the intrusions created by radios, clocks, and TVs. This is to let the occupants be unencumbered from technology and free to enjoy nature in all its beauty. The beach villas at Ko Olina are a collection of luxury lifestyle accommodations designed for memorable family vacations. Two and three-bedroom villas combine sensible practicality with all the opulence befitting the Hawaiian tropic. There are hundreds of accommodation units available with a wide choice of options and amenities. King beds, generous living spaces, designer kitchens and large private balconies are some of these. Luxurious public areas and shared facilities include a fitness center, steam and sauna rooms, beach bar and spa. There are multiple pools on the property including a lap pool, an adults’ lagoon and a children’s wading pool. 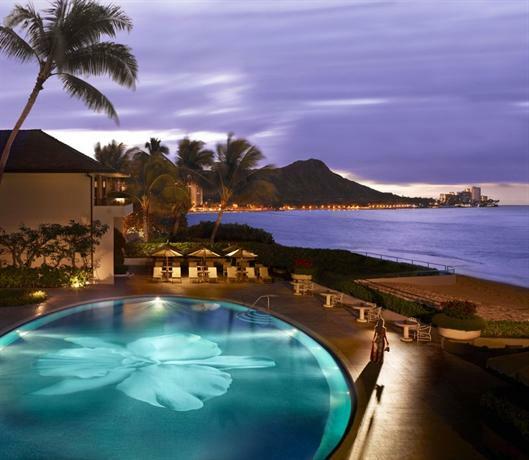 Since its opening in 1964, the Kahala has played host to royalty, celebrities and heads of state. The resort’s prominent location in Honolulu adds to the benefits of staying in one of its tastefully furnished and luxurious rooms. The stay is enhanced by quality bath amenities in each room and free Wi-Fi. Occupants also enjoy access to a 24-hour fitness and health center, as well as the resort’s business center. The concierge at the resort has compiled a long list of vacation activities for adults and children. These include watersports, discovering historic sites such as Pearl Harbor, attending Polynesian cultural events, private limousine tours of the island, sailing, shopping, golfing and more. 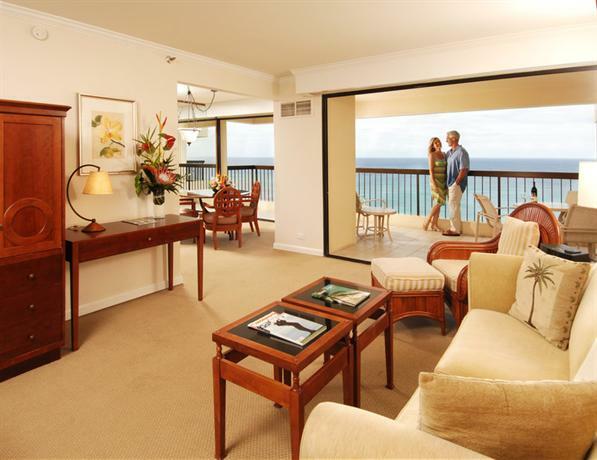 This luxury resort is a 40 storey tall condominium complex located right across the street from Waikiki Beach. The sea-facing rooms on the upper floors offer splendid views of the ocean with all the sailing boats and surfers visible in the distance. There are only four accommodation units per floor on the suite levels. Each unit is equipped with a full kitchen and a washer-dryer for added convenience. Daily housekeeping and turn down service are also provided. 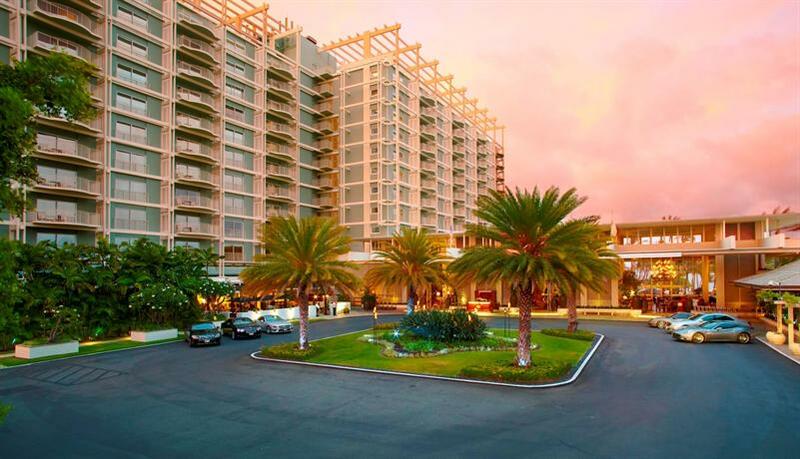 The Aston Waikiki has been designed to be a destination for a complete family getaway. A multitude of Honolulu’s beachfront restaurants and cafés are located conveniently close.